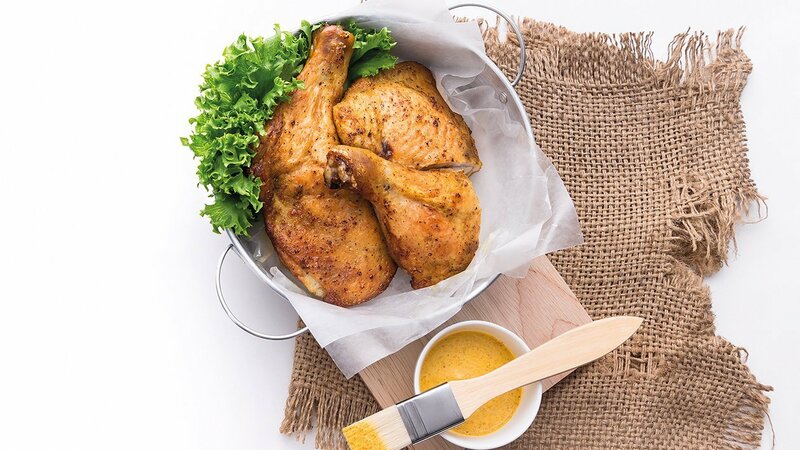 Nice colour, fragrant grilled chicken that you'd love. Mix all the ingredients, add KNORR Intense Meaty Essence, KNORR SELECTIONS Oyster Flavoured Sauce and KNORR SELECTIONS Seasoning Sauce and mix until well-combined. Pour into another clean container, store in the refrigerator, and marinate meat as desired.